Peshawar wins by three runs! Match Prediction Today @KarachiKingsARY win Match InshAllah! 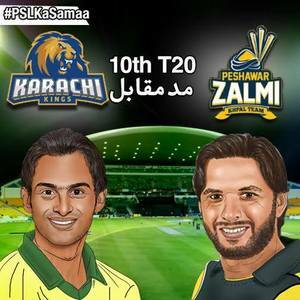 Its @PeshawarZalmi vs #KarachiKingsAry ..
اس بےچارے کو کوئٹہ گلیڈیئٹرز کہتے ہیں"???????? Peshawar zalimi cap Lala won the toss n elect bowling first. Hun #Karachi wala magar pasand mujhe #ZalmiKaWaar hai ???? 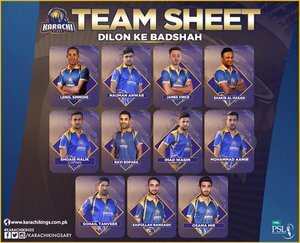 Fourth-placed Karachi Kings are taking on second-placed Peshawar Zalmi. اسکو لاہوریا کہتے ہیں" ??????? ?